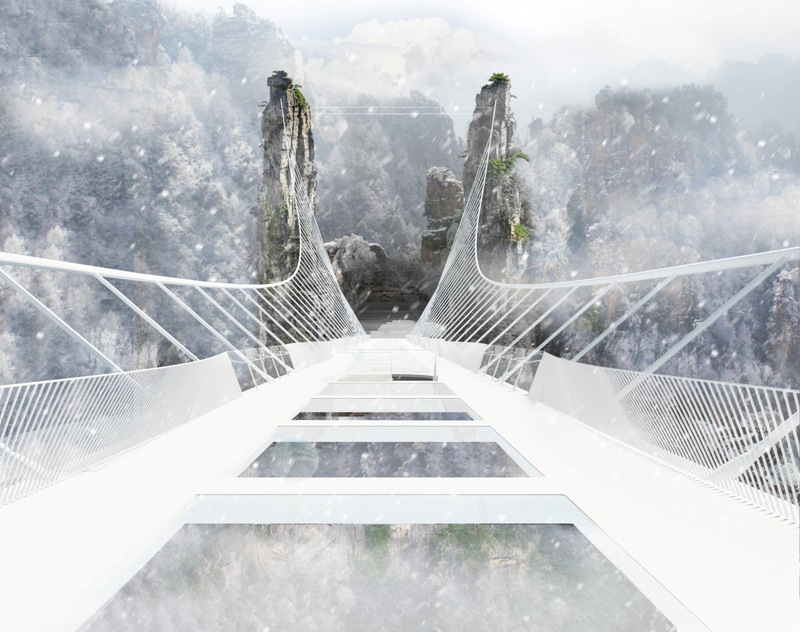 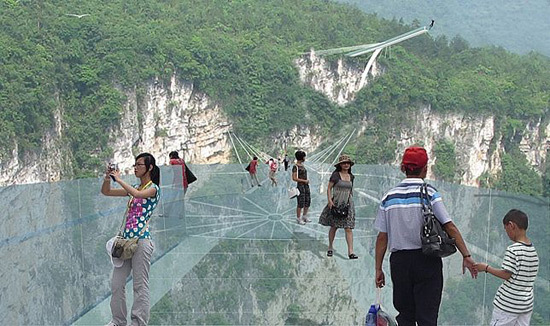 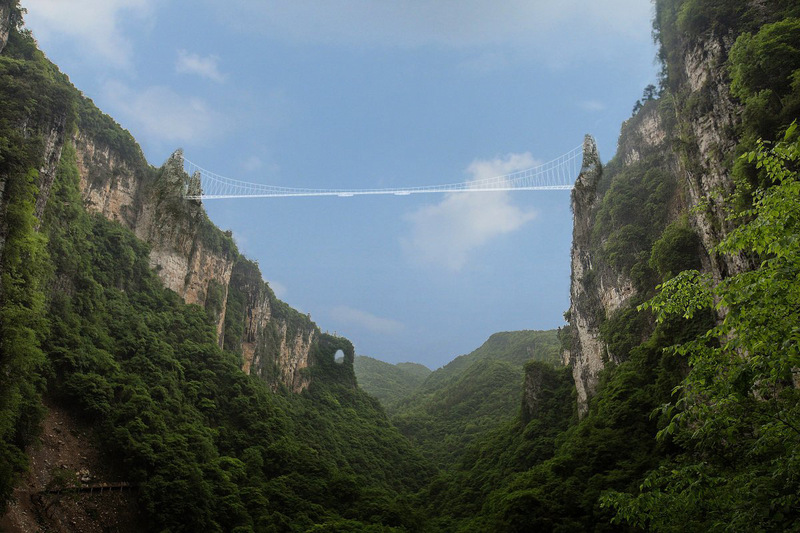 New gigantic glass bridge, over 385 meters wide, and 300 meters deep Zhangjiajie canyon in Hunan Province in China is in its final stage of construction. 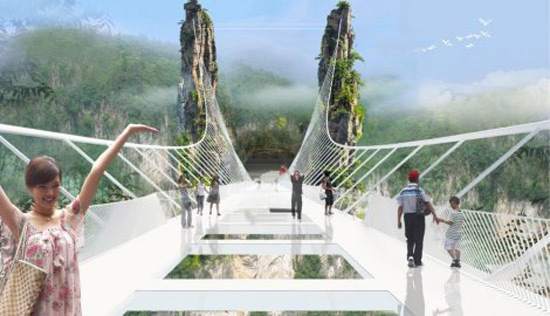 Designed by the Israeli architect Haim Dotan, the bridge will be 430 meters long, set between the abutments and when completed will become the longest and highest bridge of its type in the world. 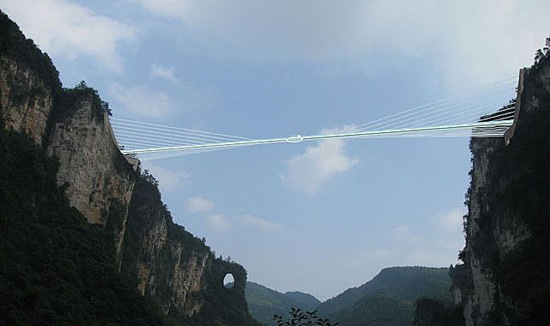 Construction should be completed by July, and the bridge will be opened in October. 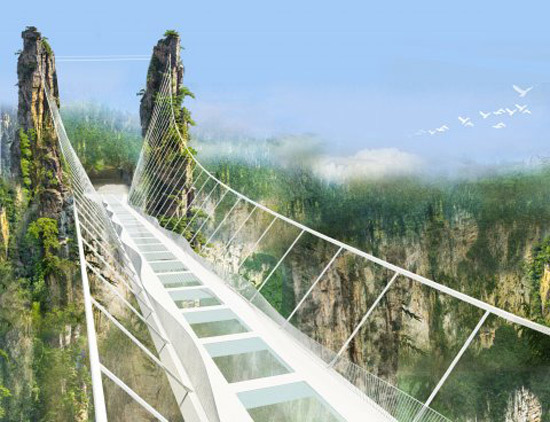 On it at the same time can be placed be 800 people, and will serve also for fashion shows, and feature world’s highest bungee jump, which is currently a 764 foot drop from Macau Tower.